● Are you struggling to learn drum music? 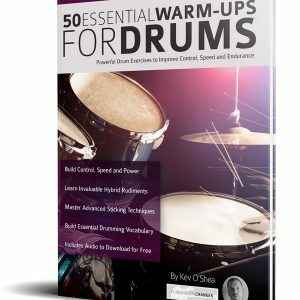 ● Would you like an effective way to memorize, play and combine techniques and rudiments to make music on the drums? ● Do you want to confidently read rhythm on drums the right way? 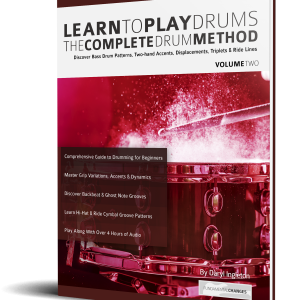 ● Do you want to build perfect drum practice habits that stay with you for a lifetime? The Rhythm and Notation for Drummers teaches you to correctly play, understand and combine the essential techniques for drummers to become a better musician, quickly and easily. 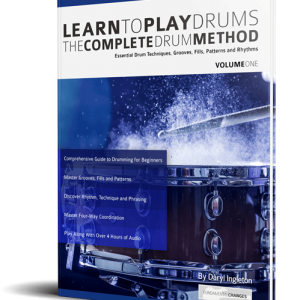 ● A complete course, building from the first essential drum rhythms and symbols to help you memorize, understand and apply drum notation musically. ● Learn how to write down and document complex drum pieces – an invaluable skill! 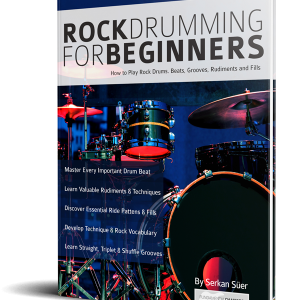 Most beginner drum students know a few rhythms and symbols but few actually realize it is quick and easy to expand into effortless competent understanding of how to read drum music and play all the essential techniques. 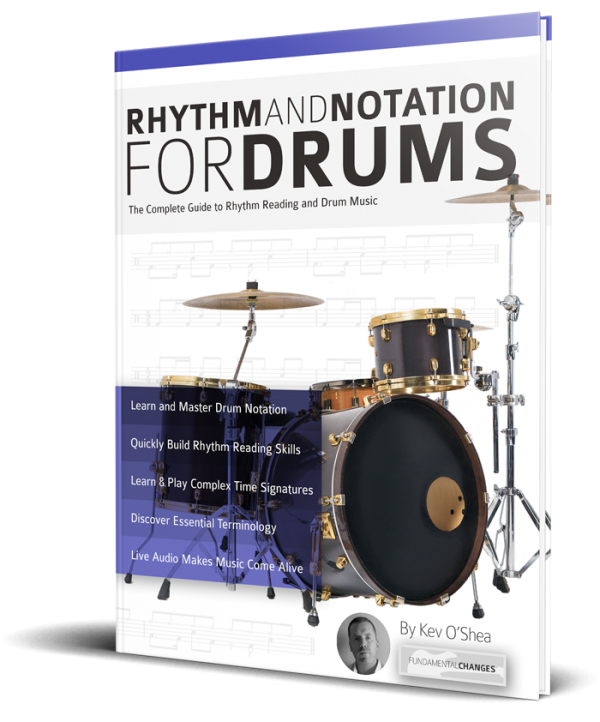 Rhythm and Notation for Drummers is not just a cold list of drum theory, it’s a complete guide for beginners that teaches you how to read and write notation for a lifetime of drumming success. From the most basic note divisions, right through to an understanding of complex time, you will be guided in small friendly steps. Throughout, there is an emphasis on using the correct counting, combining techniques smoothly, building great technique and developing creativity. Test Yourself! At the end of each chapter, the newly introduced rhythms and techniques are combined into real-life challenging musical progressions. Learning rhythms from paper is one thing, but once you hear how to apply them, they become music. Rhythm Reading and Notation for Drummers contains many supporting audio examples to help you get inside the music, and quickly apply every new rhythm and technique in a musical situation.